The FAI/CIVL wishes to make you aware of the CIVL Safety Pages. It is intended to keep this system alive, gathering and spreading any new critical safety issue worldwide as fast as possible. In the HG and PG sections are the specific data. The incident types are information bases without any statistical aspect. The safety notices are gathered from several federation and manufacturer websites. 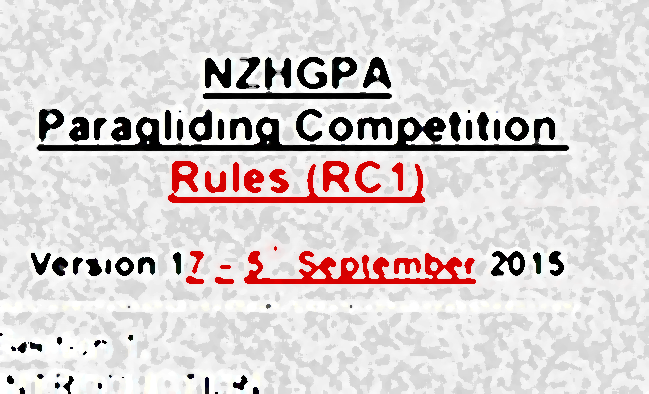 Its time to renew your NZHGPA membership. If you renew a Full membership by 20th October you will receive a $20 early bird discount off the fee (but you must complete your payment by that date). To renew or update your membership, log in to your profile at http://member.nzhgpa.org.nz/Sys/Profile with your email and password and follow suggested actions on your profile screen. 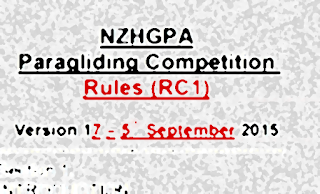 The Paragliding Competition Rule book has been updated to version 17.